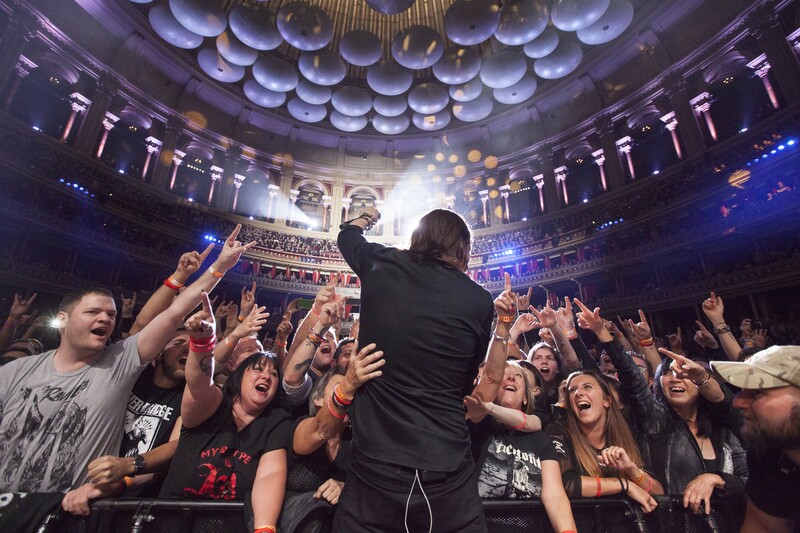 Myles Kennedy performing at London's famed Royal Albert Hall. Myles Kennedy opens the door to the Big Dipper on a crisp, clear afternoon, walks in and quickly looks around to reacquaint himself with one of the important music venues of his youth. The changes since he last performed there more than two decades ago are subtle. The changes in the life of the friendly 49-year-old poking around the stage and scanning the Dipper's walls are considerably more dramatic. Twenty years ago, Kennedy and his friends in the Spokane band the Mayfield Four were doing their damnedest to live out their rock 'n' roll dreams. They'd landed a big-time record deal, released a well-received debut and toured the country opening for then-huge acts like Creed and Stabbing Westward. Everything was set up to turn Kennedy and his buddies into rock stars. After the Mayfield Four didn't catch fire, the band broke up in 2002 and Kennedy found himself in Spokane, unsure of what to do next. "I thought I'd hung up my rock 'n' roll cleats, so to speak," Kennedy says. "I was really disillusioned. We were just another casualty of the music industry. So I went back to teaching guitar. I got married." That could have been the end of the story, and it would still be a happy ending. A guy got to tour the country with his buddies, made a couple records, then married the girl of his dreams and settled down to a quiet life teaching in his hometown — ain't nothing wrong with that. 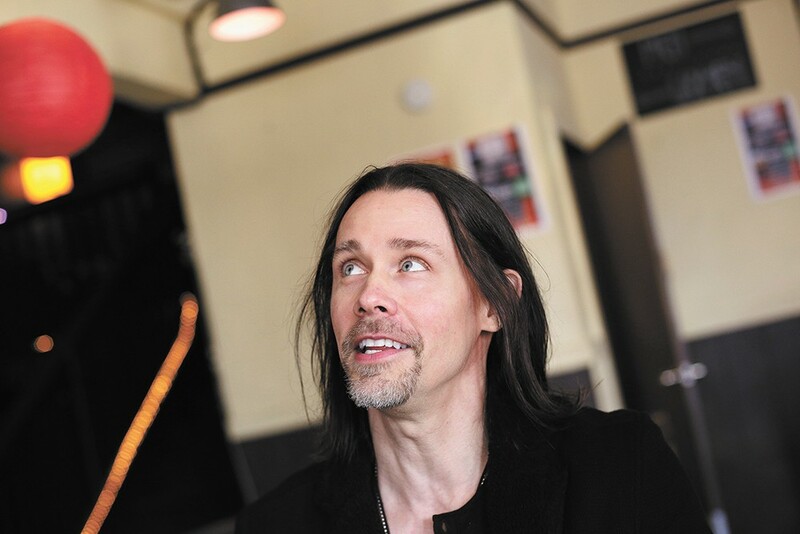 Growing up, Myles Kennedy says, playing guitar "was oxygen for me." First came a phone call in 2003 from one of the Creed guys, looking to start a new band. Then another call a few years later from Guns N' Roses guitarist Slash, looking for a collaborator in another new group. In the past 15 years, those two projects — Alter Bridge and Slash featuring Myles Kennedy and the Conspirators — have sold hundreds of thousands of albums and played to millions of fans in arenas, theaters and stadiums stretching from London to Sydney, to Rio to Tokyo and New York City. Turns out Kennedy's rock 'n' roll dream wasn't dead. It was just a little slow in developing. Myles Kennedy is the biggest music star to come out of Spokane since Bing Crosby. Unlike the old crooner, though, Kennedy never moved away from the Lilac City to search for fame and fortune. Those things found him here, where he's lived since he was 4. That was when his newly widowed mother moved his family to the Pacific Northwest after his biological father's death. That tragedy took an emotional toll on Kennedy and his family, something he addresses with unflinching openness on his first solo album, released in spring 2018. Year of the Tiger 1974, the year when his father died, was some 15 years in the making; he originally started writing songs for a solo album right after Mayfield Four's demise. Year of the Tiger 1974 offers a catharsis for Kennedy as a person, and an outlet for him as a musician to explore blues, country and folk sounds never heard in his other projects. For the listener, it's an ideal introduction to a talented multi-instrumentalist with a four-octave range who learned his skills in local public schools (he's a Mead High grad), at Spokane Falls Community College and on Spokane club stages. This weekend, Kennedy's musical life comes full circle as he headlines Spokane's most iconic venue, the Fox Theater, on the tour supporting the Year of the Tiger 1974. He met with the Inlander to talk about his formative years and some of the important spots along his path to stardom. This is the unlikely location where a teenage Kennedy first sang in public. Sure, he'd sung before — his stepdad is a minister, and he did hymns with the rest of the congregation — but Kennedy was all about playing guitar like his hero Jimmy Page from Led Zeppelin. He wasn't keen to be the center of attention. "It was actually a really big hurdle I had to get over," Kennedy says. "I loved playing guitar, it was oxygen for me, but the idea of standing on stage sometimes was a bit of a challenge." Despite that, Kennedy and his friends put together a band called Saleax — a made-up word for "fast guitars," Kennedy says. "It was silly. It was the '80s!" The band was rehearsing for a "rock against drugs" benefit at the convention center when they started playing Zeppelin's "Rock and Roll" and Kennedy jumped in singing. Kennedy's friends liked it and immediately decided he'd sing lead on the song at the show — and it would be the first song they played. "I don't want to say music saved me, but it gave me a purpose and helped me figure out who I was, and in that sense, it did save me." "This is 1986, and I was a scrawny little kid," Kennedy says, "and I show up to this big venue and there are all these bands, and they're all cool. I'm not cool." The applause at the end surprised Kennedy, "and then I slipped back into the role I wanted to do, which was play guitar," for several years before he sang on stage again. That focus on guitar paid off, though, as Kennedy parlayed his lessons in high school into a role as lead guitarist in a hard-rock band called Bittersweet, playing countless nights at old Spokane haunts like Gatsby's and throwing parties for friends. Eventually, Kennedy joined the commercial music/jazz studies program at Spokane Falls Community College to further his six-string skills and expand his musical palette. "I always tried to have a really open mind because I didn't want to be absorbing too much of just one genre. That was something I learned out at Spokane Falls," Kennedy says. "I just had this appetite I couldn't satiate in a lot of ways, musically. I was always listening to different things and trying to get off. I was so addicted to music, and still am." Joe Brasch was one of Kennedy's instructors at SFCC, and they've been friends ever since. Brasch says Kennedy was already a pretty well-known guitarist in town when he arrived in college, and when Kennedy stepped up to sing at one of the school's concerts, he "blew the doors off the place. That voice — everything was there. I was shell-shocked." "He was already an incredibly talented young man when I met him," says Brasch, now CEO of Kennedy's charity Future Song Foundation. "And his work ethic! I don't know if I'd ever met anybody that worked harder than he did. He always came prepared for his lessons. He always came in with questions, always came in ready to play. He was one of the most passionate guys I ever met in terms of playing his instrument and his music." That passion would soon push Kennedy into writing his own songs. Kennedy performing with Citizen Swing at the Met, now the Bing Crosby Theater. Kennedy's versatility as a guitarist made him a natural fit for Ankeny's, a 13th-floor restaurant/lounge in the Ridpath Hotel that featured a steady diet of cover bands, funk and jazz. It was there that Citizen Swing congealed as a house band of sorts, with Kennedy singing and playing guitar. They were put together by Caroline Lawson, and she wrote the lyrics for the band's first album, a collection that featured Kennedy's first efforts at songwriting. That project helped push Kennedy into pursuing his own music, as opposed to simply being a hired gun. "Once I got the songwriting bug, that's when I knew I'd have to change, when I knew I'd have to sing myself to kind of facilitate my vision," Kennedy says. In Seattle at the time, the so-called "grunge" movement was turning bands like Soundgarden, Alice in Chains and Nirvana into some of the biggest bands on the planet. Those bands were writing their own songs, being true to themselves, and they were doing it in their hometown. "One of the things I learned from watching their scene was, they built their own scene," Kennedy says. "They weren't all taking off to L.A. They did it there, and that was really important to me." A lot of Kennedy's Spokane friends moved to Seattle during those years, but Kennedy knew he didn't want to just be another voice and guitar in a city suddenly glutted with bands trying to make it big. "I knew if I went there, it was going to affect what I was going to end up creating. And I wanted whatever I was going to develop to be unique. It took a long time to figure that out, and a lot of growth, and a lot of mistakes." Another push to write his own music came while Kennedy was still playing at Ankeny's, looking out the windows down at the Big Dipper, which was establishing itself as an important outlet for local original music. "It would be Friday night, I'd be playing the hits up at Ankeny's and I'd look down and see all these kids standing outside and wonder 'Who's the band tonight?'" Kennedy says. "I'd kind of be envious of the situation because I knew they were expressing themselves in a different way. And that was very enticing." The Big Dipper had entered Kennedy's mind as a potential outlet years before, when he was in Bittersweet, doing hard-rock originals and covers by the likes of Bon Jovi. 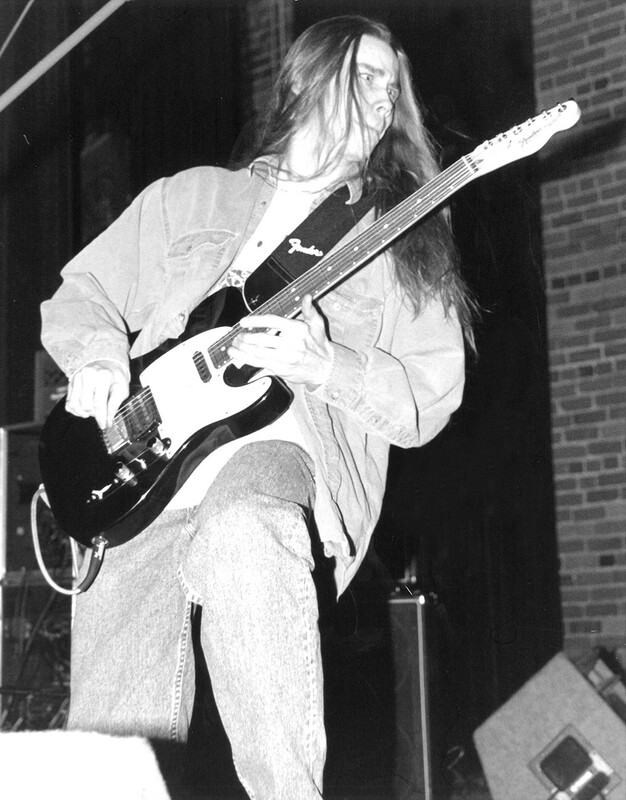 Kennedy was lead guitarist, having joined as a high school junior. Early on, they had to rent grange halls, throwing parties full of high school kids that eventually got them banned because "the grange halls didn't quite look the same when we got done with them." Eventually, they got a gig at Gatsby's. "We played four sets a night, and we'd throw in a few originals, but for the most part we were doing the hard rock of the day," Kennedy says. "Then we'd have to get up and go to school in the morning. We'd be playing until 1:30 in the morning, and then have to get up at 7 and go to school and do it all over again. It was a blast." When Bittersweet at one point found itself desperate for a new rehearsal space, they found 123 Arts, a building with a bunch of rehearsal rooms and a performance stage. For Kennedy, 123 Arts was eye-opening, a place where he realized there were a lot of different sounds than those he was making with the hard-rocking Bittersweet. In one room, they met some guys from Coeur d'Alene called Sacrament, who eventually added some horns and became Black Happy. Some young California punks called Green Day came through and played a show there. "It was a lot of the cooler bands," Kennedy says. "I'll admit, a lot of the music we were making was very hard-rock based. We didn't necessarily fit in with sort of the cool alternative-punk thing that was happening at the time. "I just know this business is really hard and I never take anything for granted. I never assume anything is going to last forever." "It was a great place for Spokane, to be exposed to this movement that was coming up ... I certainly appreciated and admired it." Through all years since playing those old clubs, through Mayfield Four's brief run at the big time and his decades of success since, Kennedy has stayed in Spokane, living with his wife, Selena, who he met at the old Blue Spark (now the Observatory, and what Kennedy calls "the most important club in this town") and generally laying low when he's not on tour. His mom and stepdad live in Deer Park, he has a couple dogs, and he likes to do a lot of the same things he always did growing up. "When I got off the road with Slash a few weeks ago, I couldn't wait to ... do the yearly ritual of going to Green Bluff to get our pumpkins, get some apples," Kennedy says. "Those rituals I've done since I was a kid still have such allure to me." 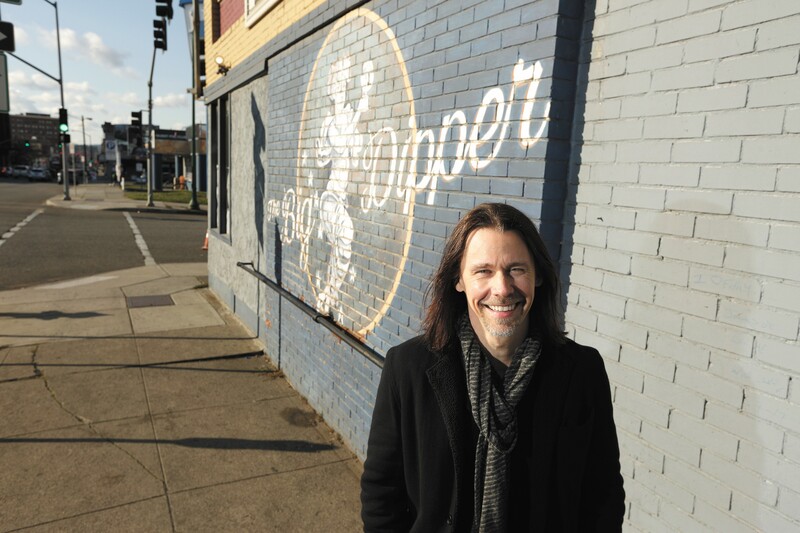 Myles Kennedy outside the Big Dipper, a place that inspired him to pursue original music years before he got to play there. Old friend Joe Brasch says the young guitar player he met 30 years ago hasn't changed much. "This is a kid who had the talent and the drive and the work ethic from the very beginning," Brasch says. "None of that has changed, which is what keeps him doing what he's doing and at the top of his game every time you see him." That drive is what led him to realize a couple years ago that the songs he'd been working on and recording off and on for more than a decade simply weren't working for him anymore. He literally scrapped an entire album and started from scratch in 2017, deciding to explore his love of sounds far from the guitar-based hard-rock he's best known for, and finally address, through his lyrics, the pain and aftermath of his biological father's death. "I felt like it was time to do that, although I had attempted to do that some in the past," Kennedy says. "It never felt right and I closed the door." Once Kennedy committed to exploring those feelings, he jumped in fully. The result is an impressive document on Year of the Tiger 1974, an emotional journey that — even with Kennedy utilizing things like banjo, lap-steel and mandolin — still, indeed, rocks. "What's important is to make sure that the emotions I'm extracting are from a sincere place," Kennedy says. "Sometimes you don't even think about it, it's as if it just manifests itself in the songs and you don't even understand where it's coming from. You just know you need to purge this and you let it flow. Spokane’s Myles Kennedy will always be a hometown hero, but his musical chops have taken him around the world several times over. Myles Kennedy first met his future Alter Bridge bandmates when Mayfield Four opened for Creed for a few weeks in 1998. Five years later, the non-singing Creed guys got in touch about starting a new project, and Kennedy was intrigued after recalling their "real specific feel, a certain groove I thought was interesting and cool." "I thought it would be interesting to see what I could do vocally with that," Kennedy says. "As a writer and as a creative person, I'm always kind of curious. 'What would happen if you mix this with this?'" Five albums and 15 years later, having sold hundreds of thousands of albums and played to millions of fans on virtually every continent on the planet (sorry, Antarctica), clearly what happened was something people wanted to hear. "Honestly, I thought it would be one record and they'd put Creed back together," Kennedy says. "I've always been half-glass-empty. I try to stay optimistic, I just know this business is really hard and I never take anything for granted. I never assume anything is going to last forever." Guns N' Roses guitarist Slash first contacted Myles Kennedy about working together before Alter Bridge came together, as the lanky, top-hatted axeman was working on constructing what would become Velvet Revolver. Kennedy was still feeling down on the music biz after Mayfield Four had broken up, and he "respectfully declined" the chance to audition for the spot eventually given to Stone Temple Pilots' Scott Weiland. "People thought I was crazy," Kennedy recalls. "People around me thought I was an idiot. But one thing I've learned is to trust my gut. And my gut was telling me it wasn't the right time for some reason." Fast-forward nearly a decade and Slash again hit up Kennedy, this time to sing on a couple tunes on Slash's 2010 solo debut. 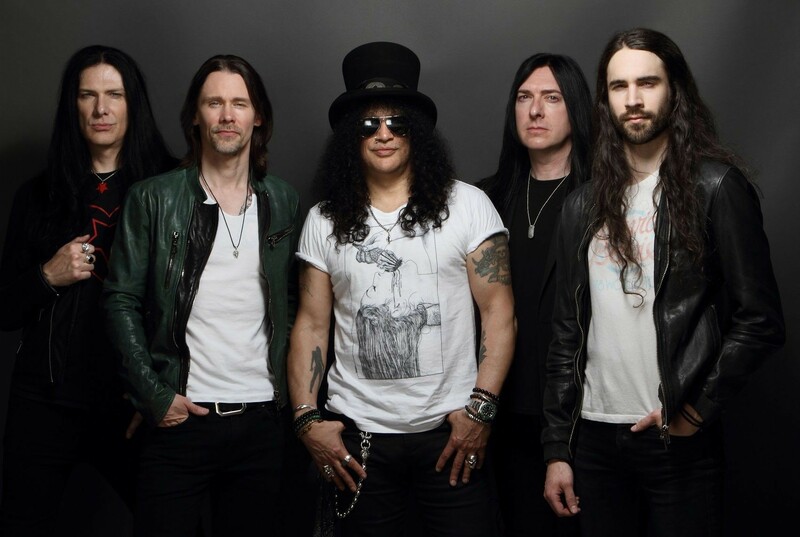 That turned into Kennedy touring as the featured vocalist in Slash's solo band, which then turned into it becoming a semi-permanent gig titled Slash featuring Myles Kennedy and the Conspirators. Under that name, they've released three more albums with Kennedy as the sole voice, including this fall's Living The Dream. "It's very different [than Alter Bridge], very different musically," he says. "It's obviously more blues-based rock 'n' roll music." Some of you might remember this 2001 Mark Wahlberg flick about a cover-band singer who suddenly gets to join his favorite band for real. Perhaps you recall Jennifer Aniston trying to play Wahlberg's rocker girlfriend, or the real-life rock stars like Zakk Wylde and Jason Bonham who surrounded Wahlberg in the movie's fictional band, Steel Dragon. If you do, then you probably also remember the movie's ending when Wahlberg is fronting the band in a sold-out arena, hears a superfan singing in the front row, then literally pulls that fan from the audience and gives up his spot in the band right then and there. That superfan? None other than Myles Kennedy! For Kennedy, more memorable than his brief entry into acting was the chance to meet Bonham, the son of Led Zeppelin's legendary drummer John Bonham. "I remember one day going up to him between takes and just telling him, 'Hey man, I want to let you know your father's legacy and what it meant to me,'" Kennedy says. "And he was just so appreciative. What I learned from that conversation was how proud he is of his father. And it was really cool as we were both guys who lost our fathers at a young age. I felt like that was this thing we had in common, and hearing him speak so highly of his father was a beautiful thing." Meeting Jason Bonham on the Rock Star set would prove the spark of what Myles Kennedy calls "probably the most incredible experience of my life," musically speaking. Kennedy was on tour in Europe in 2008 when he got a text from Bonham asking him to call back. He figured the drummer had friends wanting show tickets. Instead, Bonham told him, "I'm in London with some friends. ... I wonder if you're interested in coming over next week for a jam or two?" From left to right: John Paul Jones, Robert Plant and Jimmy Page. Those friends turned out to be Jimmy Page and John Paul Jones, the guys who started Led Zeppelin with singer Robert Plant and Bonham's dad. Kennedy still remembers exactly the day he showed up and started playing music with his childhood heroes — Friday, June 13, 2008 — and sputtered like a total fanboy, "You guys drew the blueprint for everything, thank you!" Kennedy played with Bonham, Page and Jones for a few days that June, and again for four days in September 2008, but nothing ever came of it in terms of recording or a tour. Still, Kennedy buzzes as he relays the experience for probably the thousandth time. "It was surreal," Kennedy says. "To be honest with you, it still seems so hard to fathom. Every single time I talk about it, I'm like, 'Is this The Matrix? Am I living in a virtual reality? Is this actually real? Are you real? No way!'" Lest you think Myles Kennedy is only about the hard-rock, forget it. Over the course of conversation he mentions an array of artists he admires, spanning genres that include bluegrass, folk, country and more. He says he could "talk about Sturgill Simpson for the next hour," considers singer-songwriters Jeff Buckley and Chris Whitley big influences and recommends a Chris Thile/Brad Mehldau album on which they cover Gillian Welch. Clearly, the guy knows about all kinds of music. Asked about any collaborations he's worked on that might be surprising, Kennedy comes through: The Grateful Dead's Phil Lesh, who he worked with about 10 years ago. Yes, that's about the same time as hanging with the Led Zep guys — Kennedy gets around! "[Lesh] was working on something for a TV show, so we sat down to write and actually recorded a few things," Kennedy says. "That was a lot of fun. Phil's super-smart, intelligent. I love hanging out with people like that, when you feel you can really learn something from them." Music was a vital part of Myles Kennedy's life well before he did it professionally. When he was growing up in Spokane, his mom sat him down and told him she'd rent any instrument he wanted to learn — music was that important to her. He started out as a trumpet player, and eventually found himself the drum major of Mead High School's marching band during his senior year of 1987-88. Years later, after becoming a music-biz success story, Kennedy and his wife Selena were in a coffee shop in Vienna, Austria — "other than Spokane, our favorite place" — and reflecting on "where we were in life, what we wanted in life, and we thought it was time to do something for the community." From that initial conversation eventually came the Future Song Foundation, a nonprofit the Kennedys launched with Myles' old Spokane friend and guitar instructor Joe Brasch in 2015 to help kids access music through instruments and instruction. Kennedy says it was important to start an organization that resonated with both him and his wife. Selena works in the mental health industry with kids, and Myles says music was massively important to him as a kid. "I don't want to say music 'saved' me because that sounds kind of dramatic, but it gave me a purpose and helped me figure out who I was, and in that sense it did save me," Kennedy says. "And music has been oxygen ever since." Future Song donated 80 guitars and 20 keyboards this fall to Shadle Park, Lewis and Clark, North Central and Rogers high schools, the Spokesman-Review reported, after previously launching a ukulele program at the Boys & Girls Clubs of Spokane County, starting a drum program at Morning Star Boys Ranch and donating instruments to Excelsior Youth Center. Brasch, Future Song's CEO, told the Inlander he recognizes the tough financial choices that school districts have, but notes that there is ample evidence that giving students access to music "unlocks the human mind" in ways that helps them succeed. Where schools have cut music programs is where Future Song is needed most, and Kennedy is making it happen. "He truly is that passionate about music," Brasch says of his former pupil. "The thing that continues to blow my mind about Myles is that he's still the same. That passion he had for music at 17 is still the passion he has now. And wanting to give other people the opportunity to experience that is something that's really important to him." 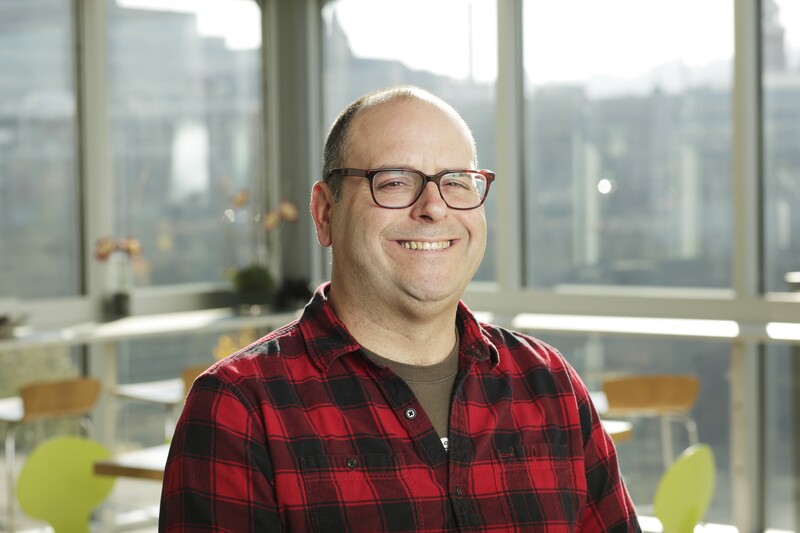 Dan Nailen is the Arts & Culture Editor at the Inlander. Before arriving in Spokane in 2014, he worked in Utah, Montana, Oregon and Idaho at daily and weekly newspapers, glossy magazines and radio stations. He's been writing about music professionally for more than 20 years, and obsessing over rock 'n' roll for even longer. He can be reached via email at dann@inlander.com or at (509) 325-0634 ext. 239. The original print version of this article was headlined "Taming a Tiger"